The kid’s bike race (it isn’t a race, but it sure acts like one on the day!) hosts the future of cycling: Give your little ones a taste of your big adventure on Sunday, 3 March 2019. The Junior event offers three distances, tailored for six different age groups, on a safe, contained route at the Cape Town Stadium Precinct. We welcome all up to the age of 12 (13 is the age of entry for the Cape Town Cycle Tour). Each finisher gets a medal, and there are even grown-up-style water points, for the full “Big Race” effect. Snake shows, magicians and lucky draws as well as a host of other activities will guarantee an afternoon nap for kids and parents alike. The littlies (up to the age of six) get to hare around a single-lap 1.3km route, and must be accompanied by a parent on foot. The 6-12 age-groupers can choose between 4 or 7km routes, and may be accompanied by a parent on a bike if they don’t feel confident enough on their own.  Get ready for the Cape Town Cycle Tour Junior by checking out the 2019 routes here! Need to find out where to buy a Spur burger, where to bedazzle your ride or where the lucky draws will take place? Look no further! Everything you need to know to enter, register and spectate. Where and when to collect ride numbers, and what to bring. It is chaos, but controlled chaos; all the wheres, hows and whens to survive Junior’s big race.